We have now complete the first week of our joint WASH study abroad course in Malawi. After starting in Lilongwe, we travelled to Mzuzu where we will be based for the remainder of the course. 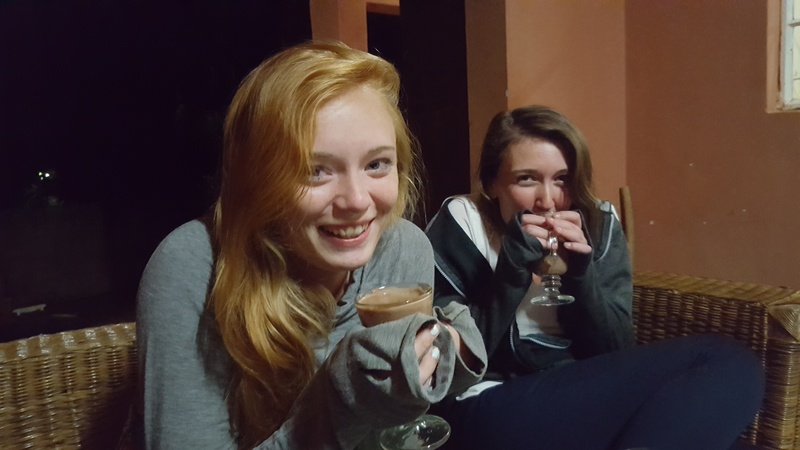 The students are settled in Joy’s Place and seem to be enjoying the relaxed environment and great food they serve. Interesting, we all underestimated how cold it can be at night, but a nice warm cup of hot chocolate seems to help. The course is based at the Mzuzu University Centre of Excellence in Water and Sanitation and the Mzuzu SMART Centre, which have all the facilities we need and are surrounded by low-cost water and sanitation technologies that are being designed and tested by staff at the centres. This immersive environment is the perfect place to be learning about WASH in Malawi. We are also fortunate to have the technical staff on hand to answer any questions we have about these technologies. The focus of this first week has been on introducing students to the water and sanitation situation in Malawi and the three research projects they will be undertaking over the next 1.5 weeks. The research will begin tomorrow and I will post a few pictures from each of the research teams over the next week. Our objective is for the students to present their findings to key stakeholders on July 28, after which they will be tasked to develop an academic journal article to document their findings. We have challenged the students to take on real and important research, and they have risen to this challenge by diving into their projects with energy, enthusiasm, and the focused needed to collect high quality data. I have also been very impressed by the way the students from the three universities are working as one cohesive group, which we hope will promote cultural exchange and build friendships that will last beyond the course. Since we are based at Mzuzu University (Mzuni), we also invited several Mzuni faculty to provide guest lectures related to their areas of expertise, and had a CLTS training session provided by World Vision who have an extensive range of projects underway in Malawi.